Owl Hold Your Glasses For You! 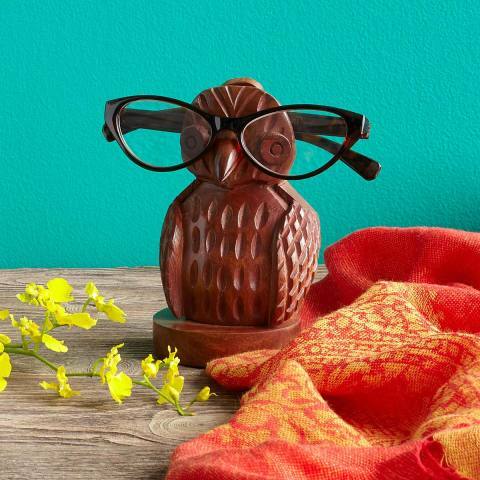 This wise old avian is hand carved by Fair Trade artisans in India from a single piece of wood. This makes him a charming piece of art as well as a functional tool for caring for your eyewear. 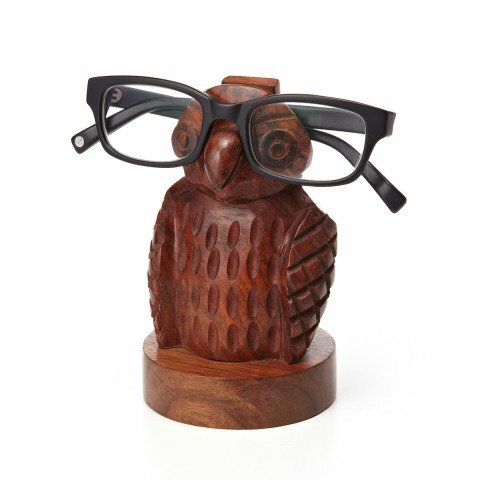 A small hook on the back of the owl helps keep your glasses safely in place when you aren't using them. Due to this item being handmade there may be some variation from the pictures shown. To order your own Owl Eyeglass Holder, click here.